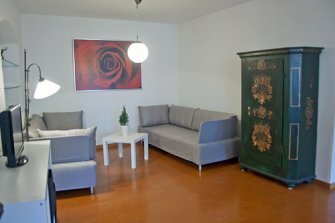 Are you looking for a cosy and suburban apartment in Regensburg? Then you have landed right here! Our lovingly furnished holiday apartment is could be the 2nd home for you if you want to take a short break, but also if you are interested in a longer stay in the beautiful city of Regensburg. The apartment is situated away from the hustle and bustle of the city and yet within walking distance to the historic city centre with its distinctive flair. As well, the wonderful nature around Regensburg with its numerous walking and cycling paths invite you to sporting activities. 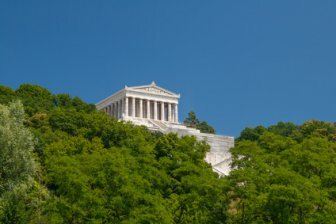 Other destinations such as the Walhalla and the Danube Gorge are nearby and can be reached in less than half an hour. 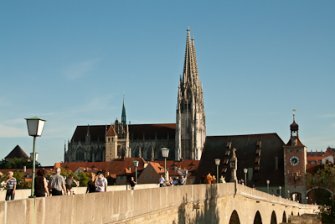 Combine your visit to the UNESCO world cultural heritage city of Regensburg with its many attractions and the beautiful and relaxing nature of the river Donau. On the following pages we invite you to have a look at our apartment in Regensburg.